Homes of any age can be subject to unpleasant lingering odors from a variety of sources – smokers, pets, cooking, and even too much moisture. Often, homeowners have gotten so used to the smells, that they essentially disappear. However, if you are thinking of listing your home you must reacquaint yourself with the odors that your home exudes to determine what to do about them. For example, in our area, there can be a lot of moisture that builds up in basements and areas that are below grade. Dehumidifiers and ozone treatments can help as can laundering the drapes and other washable upholstery (perhaps even in a vinegar solution if regular laundering doesn’t cut it). Sprinkling baking soda on the floors before a thorough vacuuming may also rid the room of the excess mustiness. In the case of smoke odors, oftentimes repainting the walls and the ceiling is in order. Cleaning the furniture and drapes may also be required. If the smell still lingers, that can mean that the smoke has permeated the carpet. Sometimes simply hiring a cleaning company to clean the carpet may do the trick. However, in some cases, it may make sense to replace the carpet. For pet smells, these are usually limited to the carpet if there have been accidents. Although carpet spot cleaning may be effective, if the problem has been years of accidents, calling a professional carpet cleaner may most certainly be in order. Cooking smells may be taken care of by painting the kitchen and the ceiling. 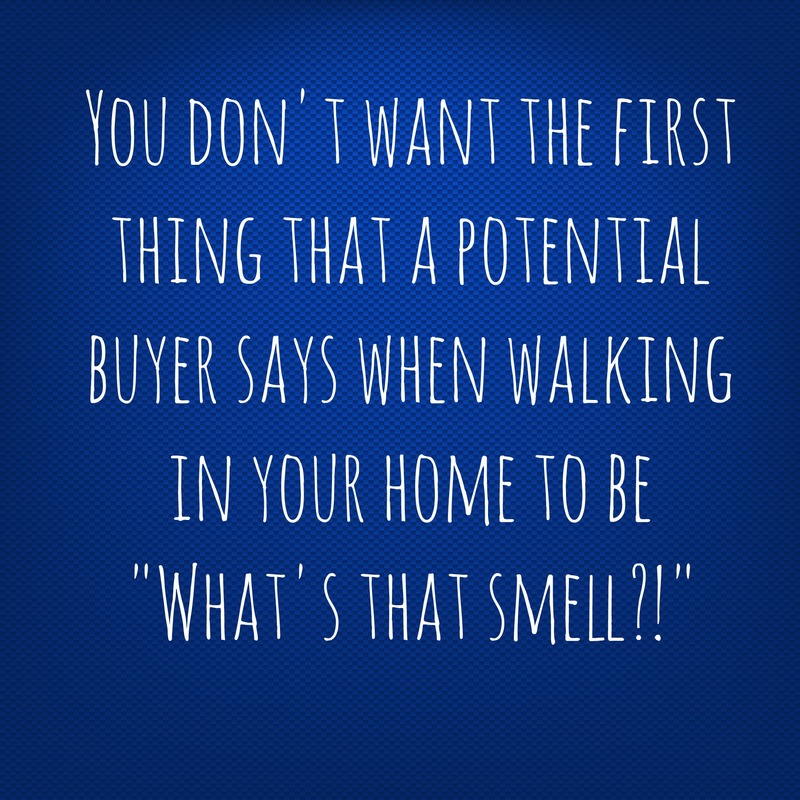 The key is to have your house smelling fresh when potential buyers walk in the door. Your real estate agent should advise you if there is a challenging smell that may put off buyers as well as some possible solutions for taking care of those.